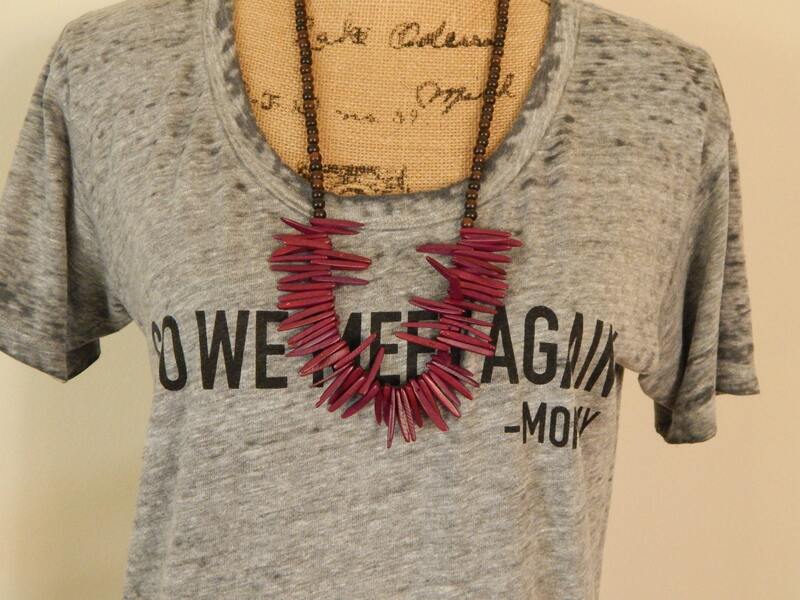 Maroon colored coconut wood tusks are paired with dark brown tiger ebony beads. 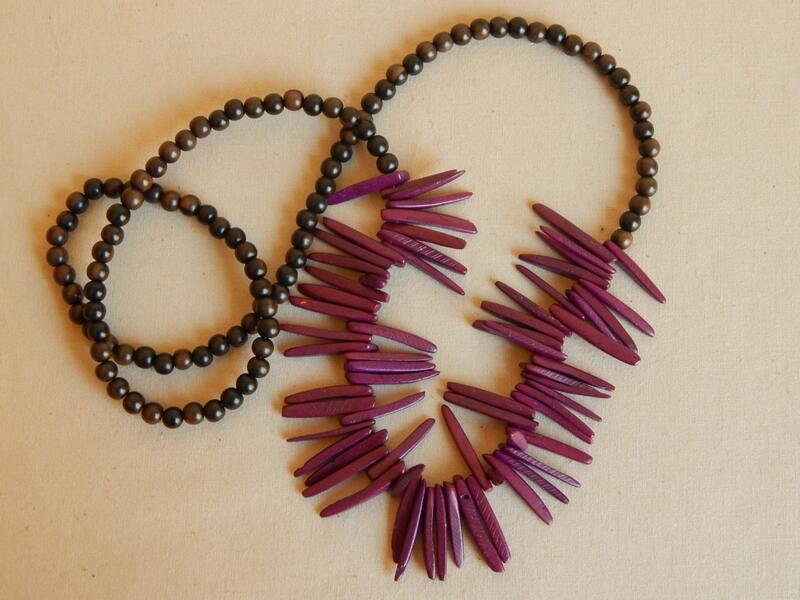 Great style to wear alone or pair with other necklaces from my shop. 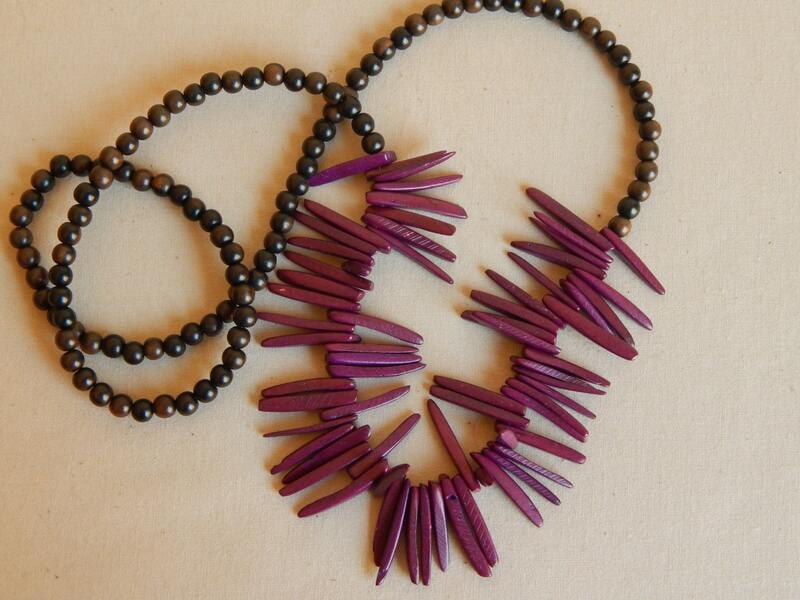 Necklace measures 30 inches long and beads are 6mm tiger ebony beads.